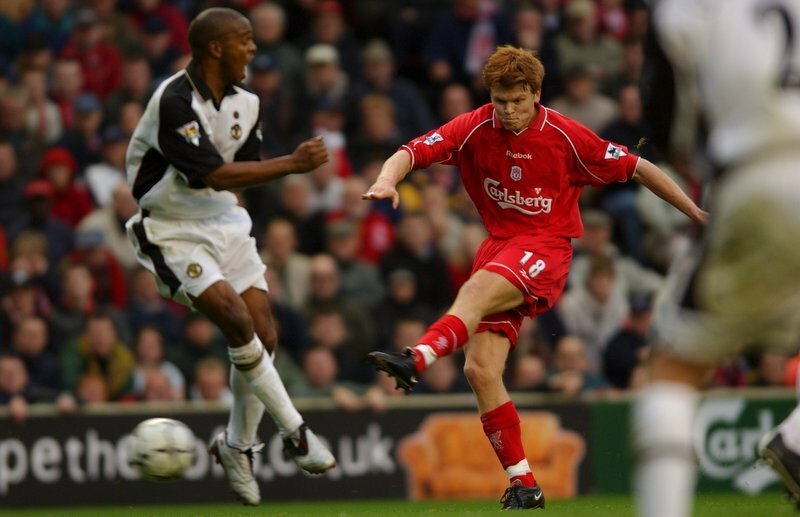 Ranked as Riise’s best goal in a Reds shirt, the Norwegian sent Anfield into raptures with a devastating free-kick against rivals Manchester United back in November 2001. The full-back had only been playing for the Premier League side for a few months, following his summer switch from Monaco, but he hit the ground running on Merseyside, with his third league goal of the season against The Red Devils being a thunderous strike. Watch below to witness Riise’s ridiculously powerful set-piece against United, which sealed a memorable 3-1 league victory over their rivals.